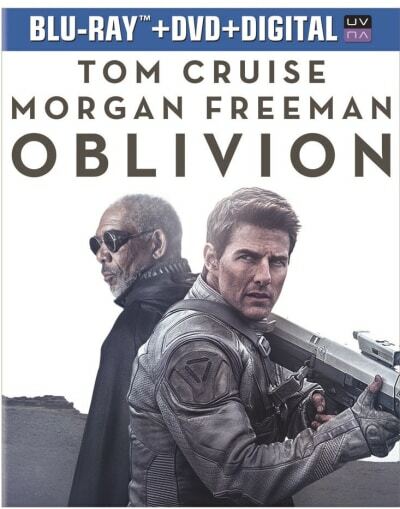 In Oblivion, Tom Cruise lives on a planet Earth that has long ago been vacated by humans. As the film makes its DVD and Blu-Ray debut, it is a chance for millions more to check out a world “unlike any you’ve ever seen,” according to our theatrical Oblivion review. And that is what makes this home video release so special -- the bonus features actually show how this uncanny world was created. 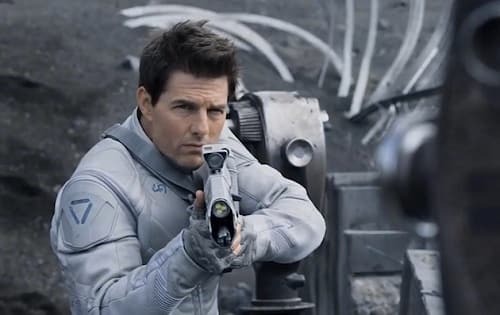 As the Oblivion trailer teases, the film features Cruise as one of two people living on the planet Earth, charged with managing the culling of its resources and sending them up to the manmade world that orbits above where the human race has escaped to. He works with his wife, played by the astonishing Andrea Riseborough, and essentially lives the same day, over and over. Director Joseph Kosinski (Tron Legacy) has crafted a world of bubble ships and a future that is sparse on human contact, but rich on drama. Without giving away too much, Cruise’s character meets Morgan Freeman and his entire world gets a greet expanse beyond what he could ever have expected. To paraphrase an often used line, things are not what they seem. The story and film itself are compelling, but what makes this DVD and Blu-Ray set truly special is the bonus features. Kosinski oversaw the conversion to home video and thought about what to include on the DVD while making the film, and as such, there is a bevy of bonus materials that will make film fans drool. They have said that with the onset of bonus features on DVDs, it can almost serve as a film school lesson and that has never been truer than on the Oblivion DVD and Blu-Ray release. Among the highlights of the extras for Movie Fanatic is Destiny, which takes a look at making Oblivion, from the conceptualization, development and pre-production and how filmmakers conquered the Herculean task of shooting the film. Given that those bubble ships are wickedly original, the feature Voyage shows viewers how the ships of Oblivion came to be, and it is fascinating to say the least. Also, the Promise of a New World featurette delves deeper than most home video releases we’ve seen lately into the making of the film. Not only is the look of Oblivion beyond our imagination, but so too are the action sequences. Combat explores the death-defying stunts (many done by Cruise himself). And given that this is a world crafted by Kosinski, his audio commentary track with Cruise is a don’t miss. That alone is like an entire semester in film school!